The Sri Sathya Sai School Rishikesh, was established in 2000, being inspired by and founded upon the direction of Bhagawan Sri Sathya Sai Baba Himself. "The nurturing of human values coupled with academic excellence", has been and remains the governing principle of the school’s activities. The school is guided by the educational philosophy of Bhagawan Baba who advocated that "Education should be for life, not for a mere living". This background has enabled the school to develop an outstanding reputation for promoting value-based education coupled with an integrated approach to academic excellence, character building, and physical and spiritual well-being. The goal of the school has been and remains to lay the foundations of a noble character in young minds by instilling in them eternal and universal values including brotherhood, the well-being of their fellow human beings and the planet upon which we live, moral integrity, service, non-violence, compassion, discipline and truthfulness. These values, combined with intellectual curiosity, creativity and the pursuit of academic excellence aim to ensure students develop into well-rounded adults able and willing to play a valuable and positive role in society. The school’s policy of providing the highest possible quality of conventional education is reflected in exceptionally strong examination results (see Academic Performance page), aided by a good child-teacher ratio (20:1). 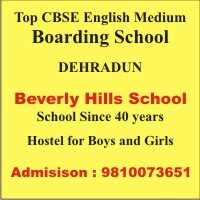 The school also aims to provide its services at the lowest possible level of fees.